Some time ago I have been asked if I would make a review from a Photoprint from ZOR. I had a look to their website, www.zor.com, and was gripped enough to give it a try. 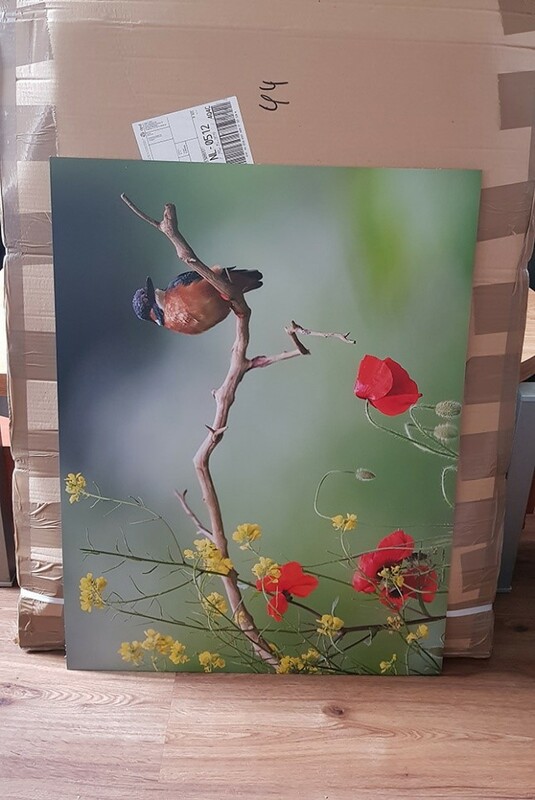 I’m a fan from Dibond Aluminium prints and because of that it would give me a nice and good comparing regarding the quality. I uploaded one of my pictures from a Kingfisher with as much as possible colours and a sharpness on the bird what is just on the limit. Also, to get a good view on the print quality and colours. Depending the dimensions of the print the system helps you easy in cropping the picture to still have the right composition. I think it takes just 3 or 4 days until the e-mail message came that my order was printed and send by post to my address. What followed was the package the next day. The print was packed safely; corner protections around the print and packed in en strong carton. 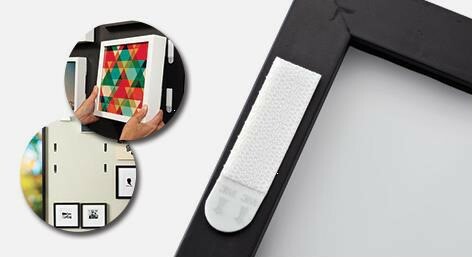 During the uploading process I ordered also the ZOR hanging system; four large Velcro looking strips based on double sided take. After having a good look to this I became disappointed. 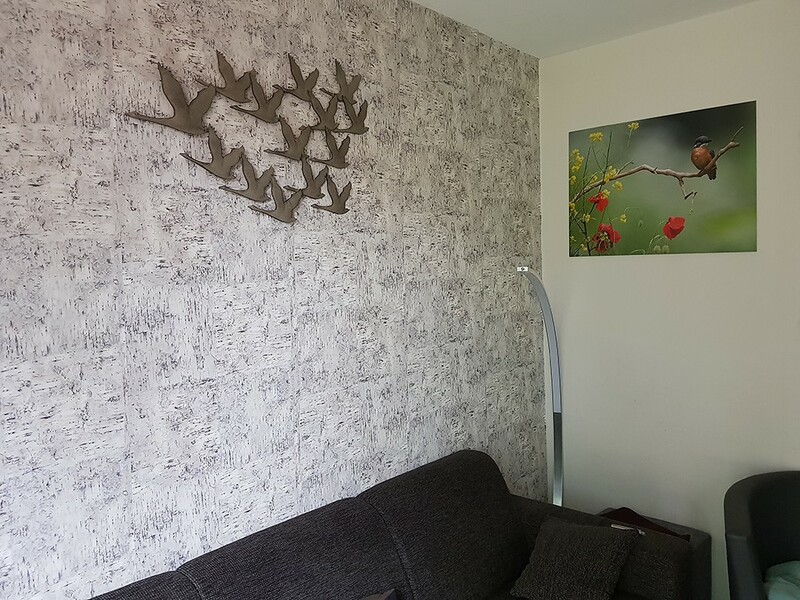 How can I hang a photo print from 60×80 cm on my wallpaper wall in the house? It’s better not to talk about my experiences with double sided tape because they are not that positive. I decided to send a message to ZOR and Jonathan sent me a quick reply with the words; ‘Don’t worry; just try it’. ‘Any type of surface can handle the tape, you should clean the surface before you stick the tape.’ The Youtube video he added with his message made me give it a try. And I was really surprised; never had such an easy hanging system and it’s hanging now steady and save for more than one week on his place without hurting our sleeping Dog under it. Han Bouwmeester Nature Photography – Enjoy Wildlife! 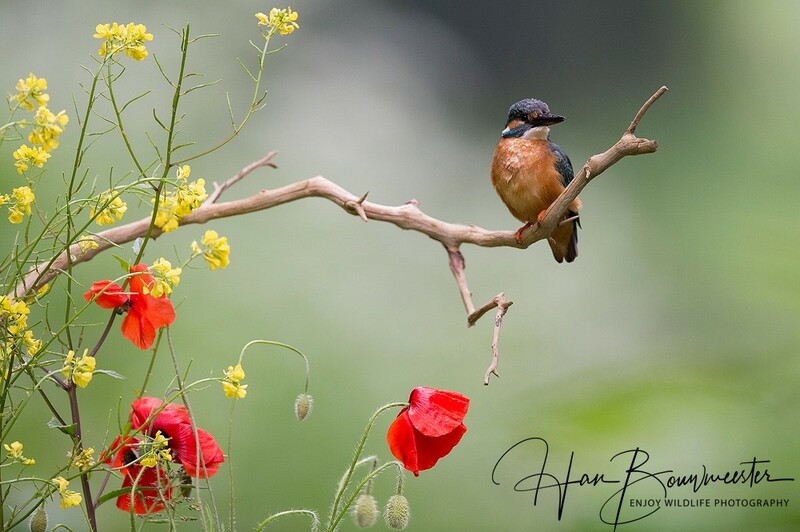 Partly because of these successes Han decided, at the beginning of 2007, to turn his hobby into a full-time job and to continue his life’s journey as a professional nature photographer. His photographs are now being used for magazines, newspapers, news media, postcards, exhibitions, office decoration, and logos on cars and sold worldwide. 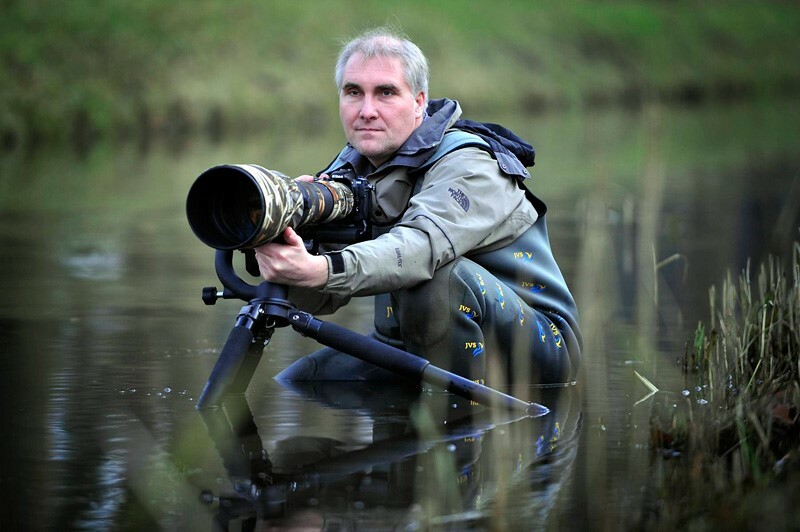 He also started venturing into other areas like the organizing of nature photography trips (Wildpix Travel) and writing some articles that are well written with great interest in the world of nature photographers. Beside this all Han is designing handy products (HBN products) for nature photographers which are now very popular.